at least 1 week before arrival no penalty.Whole ammount after time limit. Not a party hostel, but ideal location and rooms equipped with all comforts such as private bathroom, air-condition (Florence is 40c/100f ), flat screen TV, inwall safe and free wifi, bed linen and towels. 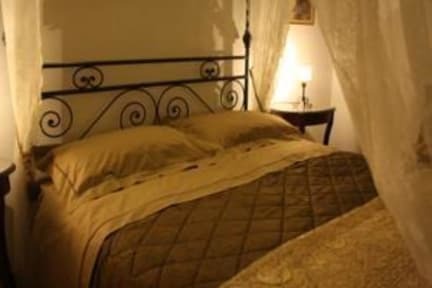 - Central location (right next to the Santa maria novella station 5 minutes walking distance to all the sites. - No lock out during the day and no curfew during the night! Check out 10:00.
check in till 19:00. Please advice about your arrival time. -Digital code locks to main entrances so no keys with strange locks. - We organize trips to tuscany and to the gucci & prada outlets. 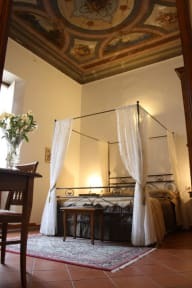 According to the City Council resolution n. 230/33 of 06/20/2011, from July 1st the City of Florence will introduce the tourism tax of 3 euro, applied to non-residents overnight staying, for a maximum of 10 consecutive nights. Check in from 10am to 19.00pm!! Please advice about your arrival time in advance. Any cancellation must be made directly to us at least 3 days in advance to avoid penalty. Location is ideal, close to the train station and an easy walk to he city center. Building was secure. Rooms were clean and comfortable. Sound travels throughout the hall so it’s possible to be disturbed by other guests coming and going. The owner is very specific about how things should be. Do not move things or let him see food in the room. He got very mad at me for taking the key to the closet when I was using it as a locker. Perfect location- 2 mins walk from main station. Really clean - nice clean towels, shower gel and linen provided. Bathroom really nice with hot shower. I stayed in a room with two single beds. Strict house rules. No common room or kitchen as stated in information. Perfect for someone who does not want a party-party hostel. I would definitely stay here again. This is a great location seconds from the train station. It is not a social atmosphere and does not have a common area or kitchen if that’s what you’re looking for. They will let you keep your bags there after check out and it is very clean. The staff is not very friendly or inviting. He is very particular about how things are done and does not remind you softly. It was clean, good location, was a mix up with the beds, we booked a 'double bed ensuite' but got a twin double ensuite , two beds pushed together. There was no way to prove due to the same pricing, (we wished we took a screenshot). The owner said it was the same, it was not! He was unwilling to change our room. When you get there, you need to call a number so someone opens the door for you. Obviously when you’re traveling you don’t have a SIM card for every country.. so not really convenient. The guy who attended us was horribly nasty! The guy charges me 3 euros per person per night city tax, but because the app says 2.5, so I asked him why and he over reacts and answer me very unpolitely. Before paying I ask if I can see the room and he, looking very angry, threatens me to cancel my reservation. It is very close to the train station which was very helpful. It was really an "okay" experience. And if you're on a budget, I think it was fine. I never really saw the staff again after I saw them once before I checked in. The reception desk never had anyone and probably we needed to call him to ask questions. And be careful because in the stairs as they turn off the lights and you might fall with your luggage, as I did. Bottom line: It was an "okay" experience. Exceptionally located.